My kid is on photography and while he is just 8 years old and simply point and shoot for most of his pictures, he sometimes captures good images. 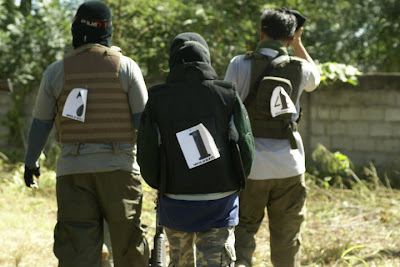 And, I got this one picture from the Blackwater Airsort Tournament highlighting the airsoft gear. The numbers complemented too. Cool!